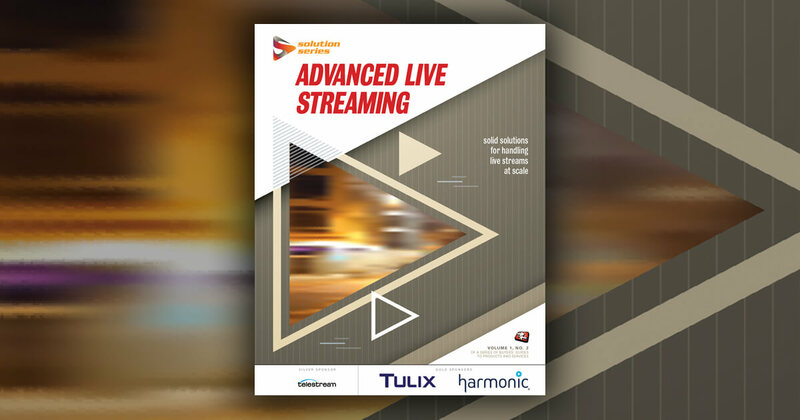 In this excerpt from his presentation at Live Streaming Summit, TourGigs General Manager Casey Charvet discusses cellular bonding/link aggregation and other technologies and strategies for getting your stream online when you're in the field and traditional bandwidth options are unavailable. Casey Charvet: When you're doing an outside broadcast, quite often you are outside. So, how do you get good internet connectivity when you're outside in the field doing something? There's a fundamental flaw in public IT networks, in that they're designed to be best-effort. There's really no guaranteed service on these. So that sort of creates an opposition of views in which we want to guarantee that our broadcast is going to reach our consumers, and there's not going to be any interruptions in the live stream. But that's fundamentally opposed to how the internet was designed, in that we'll get your packets there if we can, and if we can't we'll at least let you know. However, the appeal of doing an IP-only workflow is so great that we've seen a lot of investments in engineering in solving these problems. So, the first technology I want to touch on is cellular data. And 2G, 3G data rates were not necessarily enough to do a decent live broadcast. However, with the advent of 4G LTE, it's not uncommon to see data rates of two to five mega bits a second, and this will enable a very good live stream. As a matter of fact, I'm using my phone here at the conference to do a live stream in the exhibition hall, and I'm getting 12 megabits up. Cellular data is also super-mobile, and when it works it's very easy. In this example, you can pretty much plug in a USB cellular modem, and this is a Livestream Broadcaster. It sits right on top of your camera. It's very compact. You plug your cellular USB modem in, and you're on, and you can go. And it really doesn't get any easier than that. However, strong 4G LTE coverage can be hard to predict, and just because it works one day if you're doing, say, a music festival, and you go out there and test on site when nobody's there, the next day when there's 10,000 or 20,000 people on-site, that 4G data can completely evaporate, and if you don't have a backup plan, you're going to have a difficult time getting your stream to work. So, large concentration of people can greatly impact it. Also, sometimes your video world might be set up in a basement, or in some sort of tucked-away thing if you're doing a broadcast from a live venue, and you won't get any cell phone coverage. Or 4G data coverage. So, that brings us to the next topic, cellular bonding and other forms of link aggregation. And the philosophy there is, if one cellular modem is good, is there a way we can put eight of them together and that will be better? And it actually works out pretty well, so you get higher throughput, and then you by carefully selecting your carriers, you can populate your device with USB cards from different carriers, like Verizon, like AT&T, like T-Mobile, so that if coverage is falling off in one, it can be thrown onto the other card and you can leverage that. So you get some balancing in fail over. And this increases stream resiliency as well as allowing more throughput. And, there's definitely some software and network-engineering cleverness that are needed to chop up the video stream and reassemble this, and often this means that you need a device on both the transmit side, and on the receive side so that you can get either a base band video signal out of the device on the receive side, or you can get a standard stream format on the receive side. And some prime examples of vendors of these technologies are LiveU, Teradek Bond, Mushroom Networks makes a product as well, and PepWave, makes a non-video-specific router that can take several cellular cards and bond them together to a logical link. TourGigs' Casey Charvet discusses the IP-only content delivery model and how it benefits smaller outfits doing large-scale event streams.